This app is inputting the wrong address. 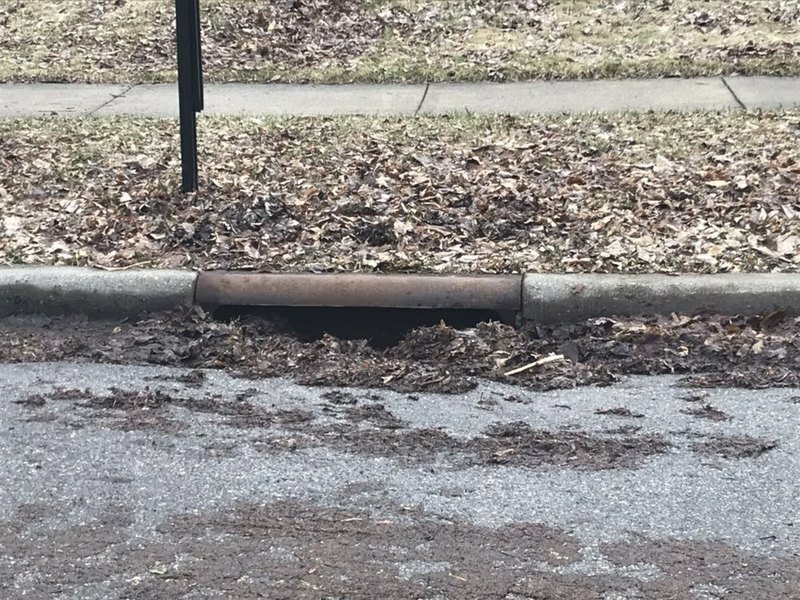 On the 4500 block of Bruce Ave near the intersection of Bruce and bridge, there’s a lot of leaf debris and dirt on the road blocking the sewer. Can you guys do a street sweep? Thank you for submitting this request, it has been received as service request #42934. This is an automated response. If this is an emergency, please call 911. Thank you for submitting this request, it has been received as service request #42992. This is an automated response. If this is an emergency, please call 911. Thank you for submitting this request, it has been received as service request #42990. This is an automated response. If this is an emergency, please call 911. Yesterday they cleaned the gutters of Scott Terrace. Why did they not clean the 200 feet on the north end on the west side but they cleaned the whole rest of that side and the east side?. The resident north of us at 4208, had the leaves there all raked out of the gutter nicely waiting to be picked up. My mailbox was flatten by the snow plow on Friday March 1st. Fortunately, the post was encased in frozen snow and appears undamaged. I took a rubber mallet and beat the metal box back in shape but a number of seams came apart and I had to use screws and interior wood blocking to hold it together. I have since purchased a new mailbox and order vinyl numbers (total cost $35) to replace the damaged one once the snow melts. My neighbor mentioned yesterday that the City of Edina would reimburse me for the damage but I didn't take any photos of the initial damaged. Can I still apply for reimbursement? Thank you for submitting this request, it has been received as service request #42625. This is an automated response. If this is an emergency, please call 911. Any progress on the mail box claim? There is what appears to be a (small and furry) bat on a tree just outside of the fence that goes around the basketball court at Chowen Park. A resident across from the park had said it hasn't moved in at least 36 hours. It's within reach of dogs and kids so we're hoping it can be removed. Thank you for letting us know about this. I will have someone take a look and see what we can do for the bat. Someone that was doing underground utility locating drove there vehicle down the public sidewalk & on to my property damaging my yard. 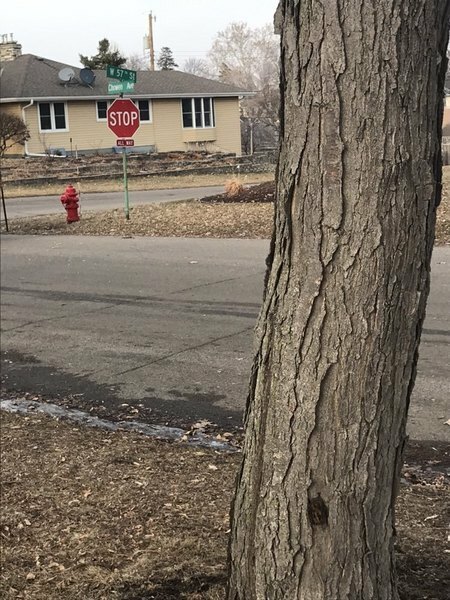 There are utility identification flags on my property that say "City of Edina" on them. Please repair the damage. Thank you for submitting this request, it has been received as service request #42928. This is an automated response. If this is an emergency, please call 911. Signage left to the side of the intersection of nine Mile Creek Trail and the entrance to Heights Park from construction in years past. Sign is tipped over on its side in the grass. This issue was recategorized from Other to Parks Maintenance. 952-826-0317. If you do not hear from them within a reasonable amount of time please contact them directly. This isn't a problem, but I do have a question. We were wondering if we can arrange for off week recycling pickup for an extra fee. We missed our last week and have been cleaning out our house so have a lot of recyclables. I have forwarded your message to the Recycling Coordinator Solvei Wilmot at swilmot@edinamn.gov or 952-826-0463. If you do not hear from her within a reasonable amount of time please contact her directly. Actually it is a rabbit. Nice reminder for people to slow down though. 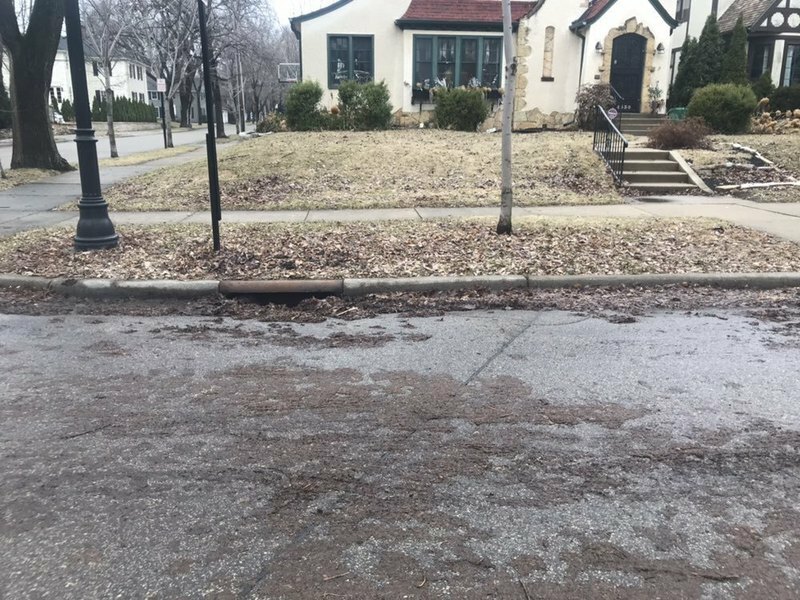 I have forwarded your message to the Public Works Division at 952-826-0376. If you do not hear from someone within a reasonable amount of time please contact them directly.